Tenuousness, trepidation, drought, locust, musica antigua, cant & want, pock-marked chrome, lapsed backyard hallucinations, clippity-clop cowboys & indians, flat tires, cloven-hoofed, low odds, dice, subdural hematoma, jailhouse coffee, bellybutton lint. For the past several years Mark Weber, poet of western Okie California arrests and wine and people guitar hub-cap back porch cigarette trembling songster house painter (who are also publisher of countless tremendous books from Zerx Press – and best poet of New Mexico) has been spending tidal waves of energy on music and as a result – this is one holy result: The Band Only a Mother Could Love, which is a 25 track CD of wonderfully spun both traditional and other musics and songs by Weber and they does Clementine, Yankee Doodle, Amazing Grace, You Are My Sunshine, and etc. like if sand and glass and blood were the mucus sent in rivers by the Gods. It is easy to say you have to hear it but you have to hear it. And once you hear it you say, I gotta hear it again. And again. It grows and grows the great mountains and deserts and desserts of Alballquerkey, New MeixiGO!! As it sez right there on the slip cover, “Ultra Americana Deluxe.” And may I just add to that, here and right now, that these here Bubbadinos continue to explore the EXTREMELY alt. Western kinda canyons even Johnny Dowd merely peers down every now and then. Focal point, as always, is the slip-jawed Tom Waits-ery of Mark Weber’s lead vocals, not to mention covers of traditional slices of, yes, Americana (“Clementine” and “Yankee Doodle,” f’rinstance) which you’re surely not about to hear filling pre-newscast holes on NPR anytime during our particular lifetimes. Speaking of which, the “You Are My Sunshine” included rivals even Dennis Wilson’s “Smile” treatment of same, while “Singing The Blues” and Steve Earle’s “The Mountain” can quite possibly even be considered definitive. Check out each band member’s solo spots as well (especially the Jimi-thru-the-spooking-glass “Goin’ Home” and, I kid you not, “Amazing Grace” gone flamenco!) Only during this disc’s concluding minutes do “The Big Offramps Of Life” and “Party Line” hint at the band’s big, cinemascopic-wide “Sgt. 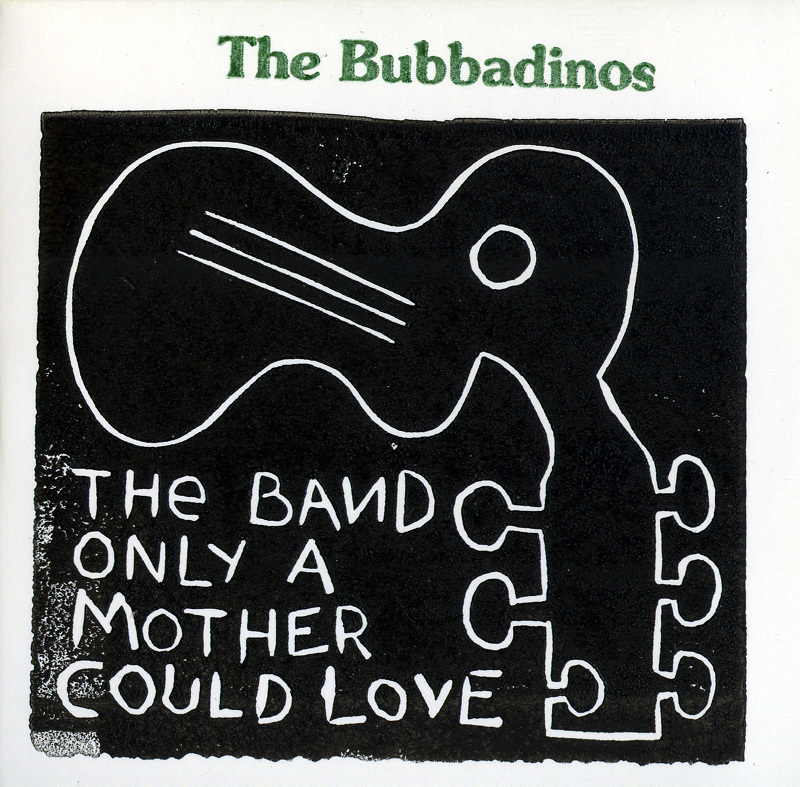 Bubbadino” sessions to come, but the other fifty-odd minutes provide more than their fair share of Uneasy Listening Pleasure as well. Turn it on, tune in, drop far out.